The late Bob Ackles, after a bit of persuasion and maneuvering, joined the BC Lions Football Club as a waterboy at the age of 15. Upon his return to the club in 2003, the former president and CEO wanted to re-establish the passion and aura surrounding the Lions that had previously existed. As a member of a team, he knew he needed support from others and thus created the Waterboys Club. 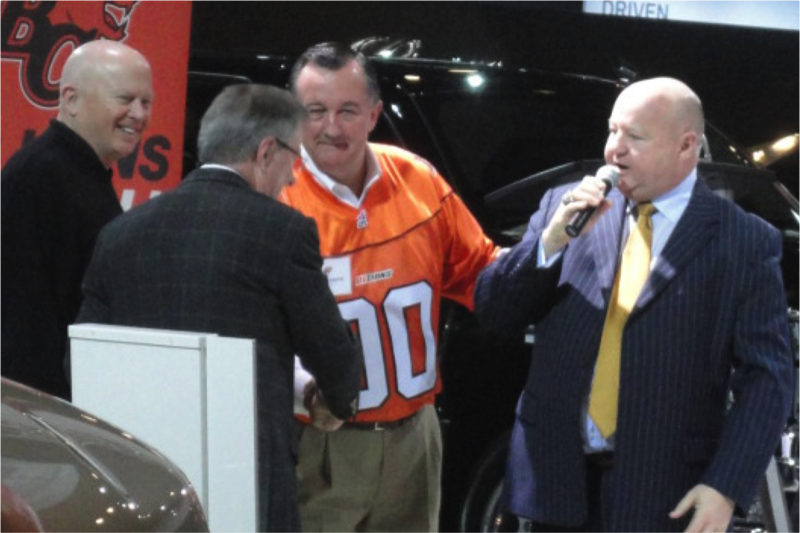 With more than 300 members to date, the Waterboys are a dynamic group of British Columbia business leaders engaged in building the BC Lions Football Club’s brand and relationships in the corporate community. The Waterboys are team ambassadors, sharing their business acumen with the club and delivering positive messages to potential corporate partners and fans. At Waterboy meetings throughout the year, BC Lions senior executives along with GM and Head Coach, Wally Buono and select staff members, players or coaches share team benchmarks, direction and achievements. In 2005, the CFL honoured the Waterboys with the Commissioner’s Award in recognition of their efforts in the community and for their outstanding work in helping the city of Vancouver play host to the 2005 Grey Cup.